9 Days Tanzania Luxury Safari enables you to explore and get the best experience of Tanzania. The safari takes you to Tarangire, Ngorongoro Crater and Serengeti National Park. Destinations: Arusha, Tarangire, Ngorongoro Crater, Serengeti National Park. Day 1: Arrival- Arusha – Arusha Coffee Lodge. 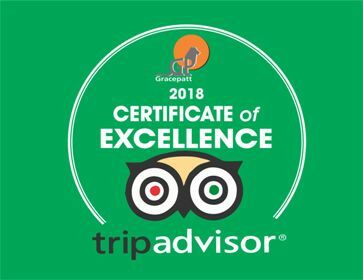 On arrival at the airport, the driver guide will meet and welcome you to our beautiful country and transfer you to Arusha Coffee Lodge where you will relax and unwind after your flight. You will immediately relax in your luxurious room ready to sleep if you are tired. Arusha Coffee Lodge Comprising of 30 Plantation Houses that radiate out into the evergreen coffee fields, Arusha Coffee Lodge has been designed around the original landowner’s home that dates back to the early 1900’s. Enjoy freshly brewed Tanzania coffee whilst you relax and unwind after your flight. If you’re ready for sleep, you’ll immediately relax in your luxurious room, with its fine linens. In the morning you’ll be refreshed and ready to go. Who says a safari has to be rustic? In the morning you will be refreshed, and after breakfast Travel to Tarangire National Park. Here you will embark on an afternoon game drive in search of oryx, eland, wildebeests, zebras, sizable elephant population among other wild animals that inhabit this National Park. The Tarangire River runs through the landscape providing the wildlife with a year-round supply of water. Over 300 species of birds, including storks, pelican, and lesser pink flamingos have been recorded. Accommodations: Chem Chem Lodge Or Nimali Africa. Estimated Driving Distance: 2.5 Hours. Activity: Drive To Tarangire: Enjoy Afternoon Game Viewing Drive. On this day enjoy a full day in the Chem Chem Wildlife Concession where action in the wild takes place: from splendid Elephants, giraffe, agile tree-climbing lions, to wildebeest, warthogs, impalas, zebras, aardvarks, and hyenas as they go on with their various activity in search of food. The Tarangire Valley is well known for its large density of elephants and its giant Baobab trees. Track down groups of giraffe in the Palm forest; listen to the cheeky chatter of baboon and other primates. Cheetahs hunt on the plains facing the Lake Burunge and Lions roam around the Little Chem Chem at night; Eland, leopards and lesser kudu can be seen in the more dense woods in the inner part of the concession. Activity: Morning & Afternoon Game Viewing Drives. Day 4: Tarangire National Park – The Ngorongoro Crater. After breakfast you will have a morning game drive enroute to Ngorongoro Crater which is a collapsed volcano and bucolic sanctuary supporting a number of wildlife, including the elusive black rhino. The next two nights you will spend your nights at The Ngorongoro Exploreans Lodge which is set on fifty acres of virgin Tanzanian bush in the Ngorongoro volcanic landscape. The lodge is situated a few steps from the Game Reserve Gate and twenty minutes’ drive away from the Ngorongoro Crater that is said to have the most dense concentration of wildlife in Africa. Estimated Driving Distance: 3.5 Hours. Accommodations: Neptune Ngorongoro Luxury Lodge. Activity: Morning Game Drive; Transfer To Ngorongoro & Spend Afternoon at Leisure. Day 5: The Ngorongoro Crater. Today depart with packed picnic lunch where you will spend the day within the crater. The crater is habitat to more than 30,000 large animals. You will be able to spot lots of wildlife – large herds of wildebeest, zebras and antelopes roaming on the landscape, which are often being hunted by cheetahs, hyenas or lions. The crater is also home to birdlife and hippos. Activity: Crater Tour, Game Viewing & Picnic Lunch in the Crater. On this day, after a delicious breakfast, proceed to the vast Serengeti National Park in search of wild animals such as lions, cheetahs and leopards in while chasing their prey. The Serengeti National Park is home to abundant wildlife, over 500 species of birds have been discovered here. You can also take an optional hot air balloon ride over the Serengeti plains (Extra cost), where you will view wildlife from above. Hot air balloon is a spectacular experience. Activity: Transfer to Serengeti with game viewing en route. Today you will more time to explore this vast and endlessly rolling savannah plain; Serengeti National Park with morning and afternoon game drives. Serengeti National Park is Tanzania’s first-established, largest and famous park most visited due its abundant wildlife. The Serengeti, which is a Maasai name ‘Siringet’ means ‘the endless plains’, offering unparalleled ornithological opportunities and an unrivalled natural arena wherein the glory and harmony of nature can be appreciated as nowhere else on earth. After breakfast experience your morning game drives in the park before returning to the lodge for relaxation an lunch. In the afternoon proceed for an afternoon game drive until dusk. Both game drives will offer you great wildlife viewing opportunities. Have the chance to spot large herds of local grazing animals and also have a good chance of seeing some of the big cats. Activity: Fly to Arusha; Transfer to Your Hotel to Rest & Relax. • Accommodation and meals as indicated in the Itinerary. • Transport in a 4×4 Vehicle with pop up roof for easy game viewing and photography. • Gratuities and tips to Hotels/Lodges/Camps staff and Driver/Guides. • Alcoholic and non alcoholic drinks where not included. • Local or international flights and departure taxes. 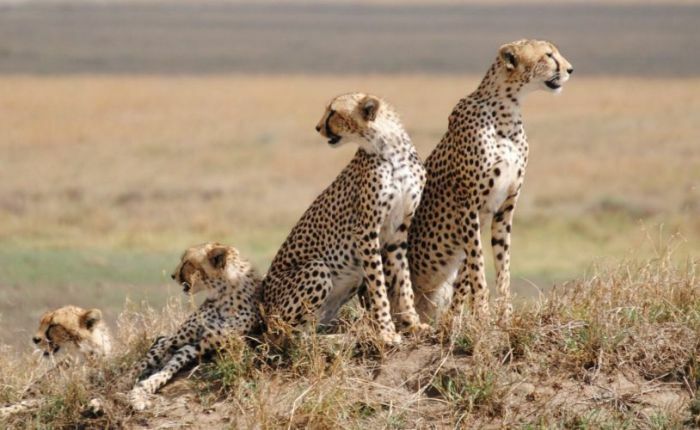 Enjoy this 9 Days Tanzania Luxury Safari.